03/01/2018 - Main road bicycle races 2018 in our cycling area. Trofeo Alfredo Binda, Trofeo Da Moreno, Gran Fondo World Championships, Gran Fondo World Series, Tre Valli Varesine, Giro di Lombardia. It's a women's professional road bicycle racing event held annually in the municipality of Cittiglio and nearby comunes located within the Province of Varese. Since 2008, the Trofeo Alfredo Binda serves as race of the UCI Women's Road World Cup. In 2016 the Trofeo Alfredo Binda became part of the new UCI Women's World Tour. The finish line is always at Cittiglio, while the starting point changes every year. In the last part of the race the field of riders complete a short circuit several times at the foot of Monte Campo dei Fiori to determine the winner. It's a women's junior road bicycle racing event which takes place in the morning on the same roads of Trofeo Binda and serves as race on the UCI Junior Nations’ Cup . The starting point and the finish line are both in downtown Varese. It's a semi classic European bicycle race held in Varesef for professionals . 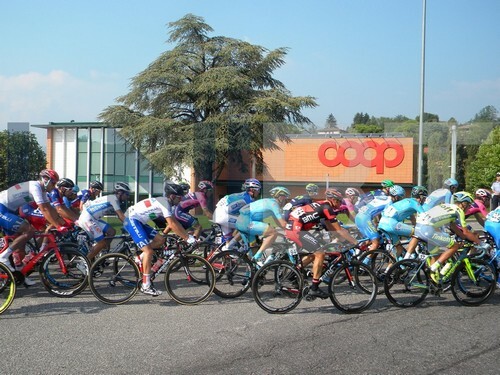 Since 2005, the Tre Valli Varesine has been organised as an event on the UCI Europe Tour. It's a one-day-race. The finish line is always at Varese, while the starting point changes every year. In the last part of the race the field of riders complete a short circuit several times in downtown Varese. The race's most famous climb is the Madonna del Ghisallo between the two branches of Lake Como. The location of the finish line and the starting point often change every year.